Since Joseph was about 7 months old, we've been very fortunate that he's slept well. Initally in a crib, since he was 12 months old he's been in a cot bed, with the side firmly on. I've not been in a hurry to take it off. We did have a bit of a wobble about six months ago, he decided to add sleep climbing to his night-time activity repertoire. I did think it might be safer to remove it, but held off, and fortunately the sleep climbing stopped as abruptly as it started. I've been waiting for a sign, and this week I got it. 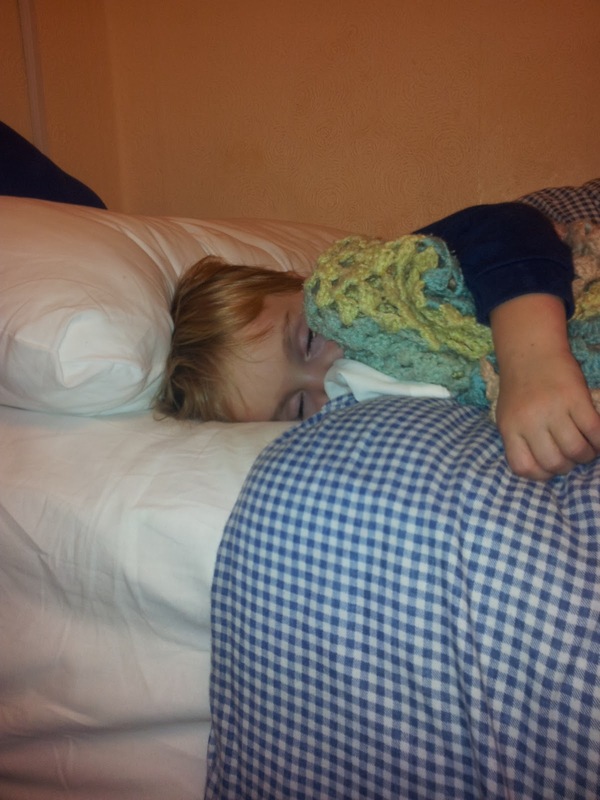 We booked into the Ivy House Hotel in London, and were given a triple room (much to my surprise as I'd only booked a double expecting Joseph to bed down with me). I thought it was a long shot, but I put him in the single bed. Much to my surprise, that is where he stayed, both nights. So I decided it was time to take the side of his bed. My main rationales are that he will ideally be in a bed at Christmas at Grandma and Grandad's house, and that some time soon we will need to start potty training, and I'd like to get the settling in bed out of the way. We had a good start tonight, stories in bed and he settled well, he's since got out 4 times, but has gone back to bed without a problem. We'll just have to see how we get on! I might be a bit bleary eyed tomorrow!